For scrubbing it is not necessary to spend money on expensive store supplies, because the scrub can be prepared by yourself. This significantly saves the budget, saves you from allergic reactions to store scrubs, and often turns out to be much more effective than them. 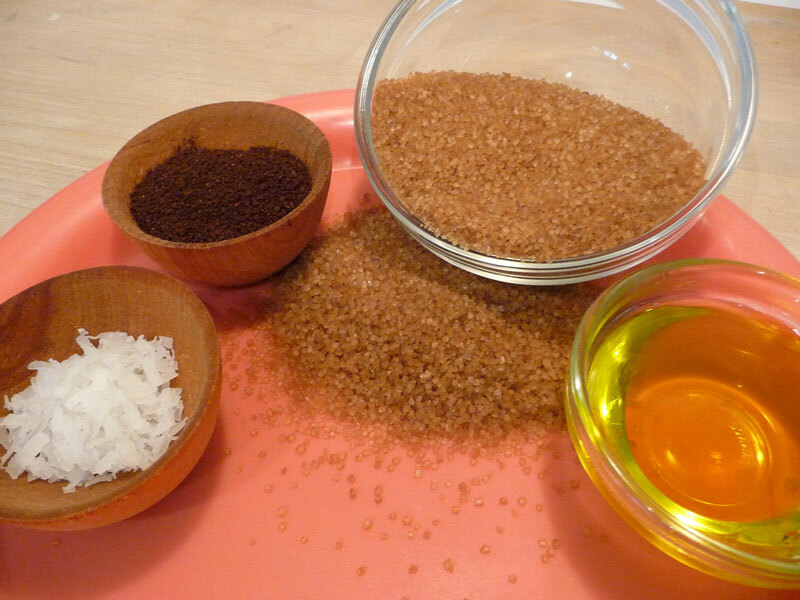 Components of cooking scrubs at home are mostly simple and accessible. Sour cream or cream, yogurt, olive oil, gel for washing can be used as a basis for cooking. Since the main task of the scrub is to exfoliate the old layer of skin, the main role in its composition is given to abrasive (solid) particles. These are various natural substances: salt (normal or sea) with large or small fractions, ground oatmeal, as well as excellent abrasive properties are thick with brewed coffee. You should not impose a scrub on unprepared skin – before using it, the face is cleansed with soft lotions and similar means. Best of all, if the skin is moisturized – then the scrub is quickly absorbed into it. Application is carried out as standard – along the massage lines, gradually rubbing the scrub into the skin with your fingers. The massage should be light – strong pressure should be avoided and only soft circular motions should be applied. It is not necessary to withstand a face scrub for a long time – just a couple of minutes is enough, after which the whole composition is washed off the face and the skin is treated with a moisturizer. There is always a place to experiment with the components: they are combined in various combinations, giving rise to many new recipes. You can also prepare already proven and popular formulations using ready-made recipes. – For the preparation will need 2-3 tablespoons of coffee or coffee grounds (in uncooked more oils). They are mixed with 3-4 tablespoons of cream or fatty yogurt and the composition is completely ready for use. – Coffee, honey and butter mix in proportions 3-1-2 – the recipe is ready. – Ground coffee is simply added to the shower gel – one teaspoon is enough. Users have noted the excellent anti-aging properties of this recipe. In addition to oatmeal (2 tablespoons are enough), a teaspoon of baking soda and some cinnamon are added to the scrub. All this is mixed with warm water to a state of gruel, applied to the skin and after a couple of minutes you can wash it off. – Recipe "Classic" – Suitable for all skin types. In addition to cleaning, the scrub also relieves inflammation from the sun rays, etc. Prepared from honey, chopped oatmeal and oil (olive or grape). All components are mixed in a ratio of 1-1-1. Now the scrub can be applied to the skin – enough to hold it for 10 minutes, then rinse. – The recipe "With sugar" – also has anti-cellulite property. For cooking you need only honey and sugar in proportions 2-1. The mixture is better applied if it is heated.